Is Your Orthopedic Practice Getting Social? We’re currently in a digital-first age. If your business – yes even your orthopedic practice – is not on social media, then it is costing you dearly. Social media is important for so many reasons: it helps you reach and connect with potential patients, it provides a platform for you to share positive stories with your audience, and it establishes your practice as an industry thought leader. 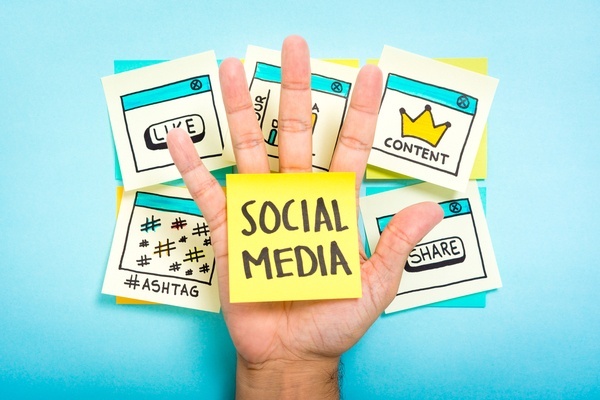 Below you will find some social media tips you need to use for your orthopedic practice. Before you start creating a social media strategy, you want to make sure you have an online presence. Your website should have high quality content on it that explains the services your orthopedic practice provides, answers to frequently asked questions, directions or links to schedule a consultation or appointment, information about your staff, and contact information for your practice. This is important because your social media strategy will involve pointing your audience toward your website for all of that information. Once your website is looking great and you have all of your social media channels set up, you should create a content calendar each month. Content calendars are important because social media takes a lot of time. By having the content created ahead of each month, you can have everything scheduled for publishing on the appropriate channels by cutting out the time it would take to remember to do it. A content calendar ensures that everything is planned, spell and grammar checked, and on-topic for your orthopedic practice. Keep in mind that even with a content calendar your business will need to have someone monitoring all social channels to reply to comments, complaints, etc. in a timely manner. Social media is great to participate in on its own, but in order to reach more people, you may need to invest some advertising dollars into important platforms. For orthopedic practices, it may make sense to push advertisements on Facebook targeted to potential patients. The great thing with investing a budget into social media is that your practice can specify exactly what budget you have to spend on social media, meaning you won’t spend more than your allotted amount each day, week, and month. This can help you reach a much larger audience than your practice would be able to organically, meaning you can get more patients into the doors of your orthopedic practice. Even better, you will be able to track exactly how successful each advertising campaign is at getting patients into your doors. One of the best social media tips we have is to encourage patients to review you on social media sites like Facebook, Yelp, and Google Reviews. As long as your patient had a positive experience with your practice, this will help bolster your online presence and influence others to utilize your orthopedic services. After a patient utilizes your services, send a follow up email thanking them for coming in and directions to leave a review. The more positive reviews your orthopedic practice collects, the more authority your practice will have online. It is also important to respond to negative reviews on social media. Negative reviews that go unanswered will not look good for your business. Responding in a professional and helpful manner will help ease concerns that other potential patients may have. Social media and digital marketing are often best executed when done so by the professionals. It takes a lot of time and effort to craft a successful social media strategy, so investing in this level of assistance and expertise can have a substantial return on investment. The professionals at HIS are experts in creating a unique digital marketing strategy for your orthopedic practices. Our social media and digital marketing services for orthopedic practices will help boost your business dramatically. Contact us today to learn more and jump into the digital world!